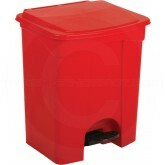 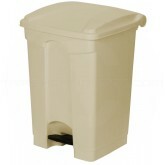 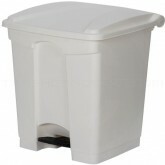 Allows for the convenient and hygienic disposal of various waste types. The sturdy step pedal enables the receptacle lid to open and close without using any hands, which makes it more sanitary. 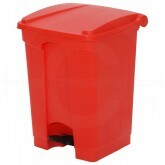 Aids in conforming to OSHA regulation 1910.1030 known as "Occupational Exposure to Bloodborne Pathogens". 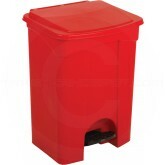 Additionally, this line of receptacles is Factory Mutual (FM) and California State Fire Marshal (CSFM) approved for fire safety. 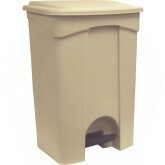 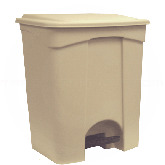 Lid closes securely to receptacle base, which keeps odors contained. 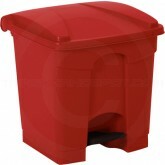 Lid attachment is covered on top so dirt does not collect in hinge. 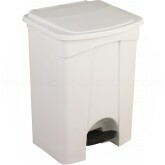 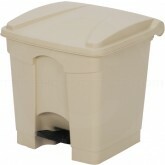 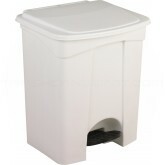 23 gallon version has covered wheels for mobility and cleanliness. 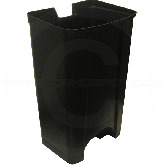 Unique "key-way" notch holds standard size polyliners. 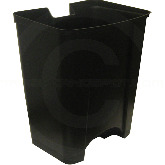 Optional rigid liners also available.